My first Social Media Challenge was an attempt to explore social media from a broad perspective and understand the elements that constitute it. For Social Media Challenge-2, I would like to focus on blogs. These days, I have had quite a number of people asking me about blogging and I think it helps to set up a ‘Blogging Resource 101’ for newbie bloggers who want make their mark in the blogosphere and have a very rewarding and enriching experience while doing that. A blog, or weblog, is a regularly updated journal published on the web. Blogs are among the most influential social media tools. If you want to have a general intro to blogs and some of its interesting features, I recommend starting off by downloading this e-book titled ‘What is Social Media’ authored by Antony Mayfield. 2. Why are blogs important? 3. What are common misperceptions about weblogs? 4. How is a weblog different from a website? 5. Are weblogs a business or a hobby? 6. What is RSS, permalink, syndication, blogroll, inbound and outbound links? 7. Why is linking so important? Rajesh Setty has this amazing starter checklist for new bloggers on squidoo. Must read. Picked up via Bob Glaza’s useful del.icio.us list. Here’s a compendium of blogger resources from about.com. I wanna start a blog? But what blogging platform do I go for? Read this resource by Darren Rowse at Problogger. 122 Essential Blogging Resources from Adnan at Blogtrepreneur. On his first anniversary as a blogger, Drew McLellan created a ‘New Blogger’s Toolbox’ that aims to support and inspire all new bloggers. Patrick Schaber has put together a basic checklist for all new bloggers at ‘Beginner’s Guide To Setting Up A First Blog Site’. Brian Clark explores the 4 noble truths of blogging in ‘Zen and the art of remarkable blogging’. Read this interesting article from Greg Verdino’s blog. Learn about the 25 basic styles of blogging and when to use each one. A very handy presentation. Here’s an interesting Blogging 101 article from the Politics and Technology blog by Kari Chisholm with tips for organization presidents, CEOs, candidates, etc. who would like to start a thought leadership blog. Check out this impressive list of 50 most influential bloggers in the world. Who are these movers & shakers? WHAT DO YOU GET OUT OF BLOGGING? There are many reasons why people start blogs. And many things happen once you are in the blogosphere. If you want to read blogging experiences of some eminent bloggers around the world, I suggest reading Toby Bloomberg’s Blogger Stories. BS chronicles the stories of how the blogosphere has touched people’s lives and, in doing so, opened the door to new way of creating relationships and opportunities. Sun Microsystems CEO Jonathan Schwartz is one of the world’s most prolific bloggers. Read this interview on his blogging experiences and his perspective on CEO blogging. What is the single greatest point of value you receive from blogging? CK asked this question to several successful marketing community bloggers and compiled the results in this interesting post. 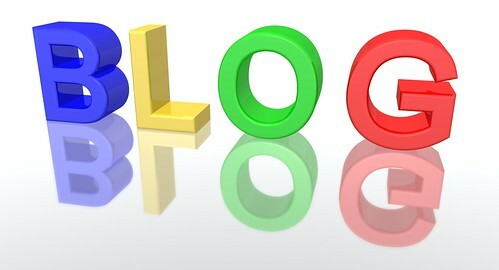 Rebecca Blood has a very useful article here on 10 tips for a better blog. Another excellent article from Mack Collier at The Viral Garden – Eight Easy Ways to Grow Your Blog. If you are a member of MarketingProfs, read the full article here. Rohit Bhargava of Ogilvy Public Relations Worldwide has an interesting post here on how to use your blog to market yourself effectively. Or, how about 10 tips on improving your blog karma. Lewis Green has this interesting post on MarketingProfs Daily Fix – 10 tips for your keeping your blog fresh. A compendium of lists on blogging mistakes to avoid. Lee Odden tells us about three blog mistakes you can avoid. Mack Collier has some tips that have helped build a loyal community for his successful blog ‘The Viral Garden’. Deborah Ng, the guide on blogs at about.com writes on ‘Top 10 Tips For Building Traffic to Your Blog’. She also describes 8 benefits of blogging in this article. An interesting post by Mack Collier on MarketingProfs Daily Fix – Does blog traffic even matter? Where To Find Fresh Blogs and How To Get Your Blog Discovered – From Chris Garrett’s blog on new media. How about an amazing opportunity to meet and mingle with some of the greatest marketing bloggers in the world? Head to Blogger Social ’08 happening at New York city from April 4-6, 2008.